CyanogenMod is a customized, aftermarket firmware distribution for select Android devices. It was based on Android OS though. It was developed by Steve Kondik (a.k.a Cyanogen), CyanogenMod Team. Based on the Android Open Source Project, CyanogenMod is designed to increase performance and reliability over Android-based ROMs released by vendors and carriers such as Google, TMobile, HTC, etc. 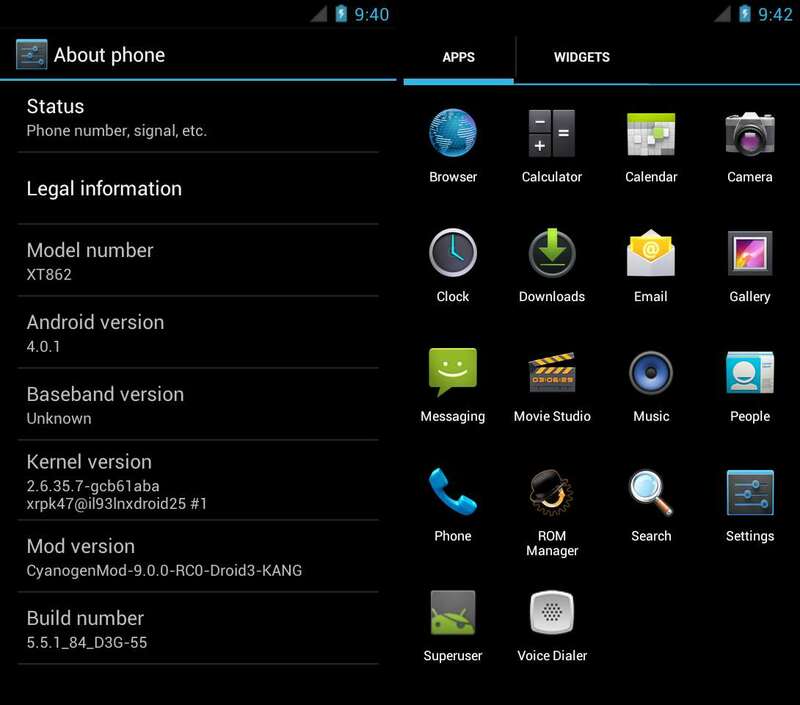 CyanogenMod also offers a variety of features & enhancements that are not currently found in these versions of Android. Native theming support (also called the “T-Mobile Theme Engine”). Free Lossless Audio Codec (FLAC) support. A Large Access Point Name list. CyanogenMod is also stated to increase performance and reliability compared with official firmware releases. 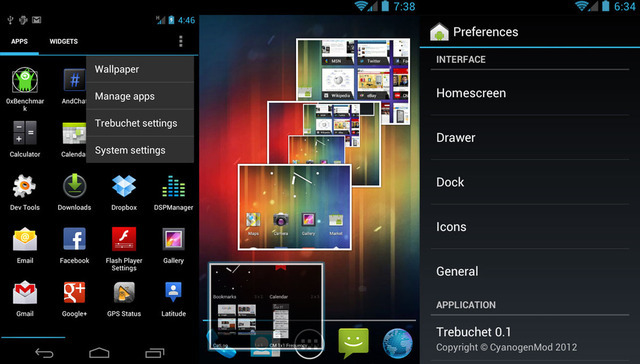 CyanogenMod is developed as free and open source software based on the official releases of Android by Google, with added original and third-party code. It started with CyanogenMod version 3.1 making firmwares based on Android 1.5 (Cupcake), Android 1.6 (Donut), Android 2.0 / 2.1 (Eclair), Android 2.2 (Froyo), Android 2.3 (Gingerbread), Android 3.x (Honeycomb), Android 4.x (Ice Cream Sandwich). 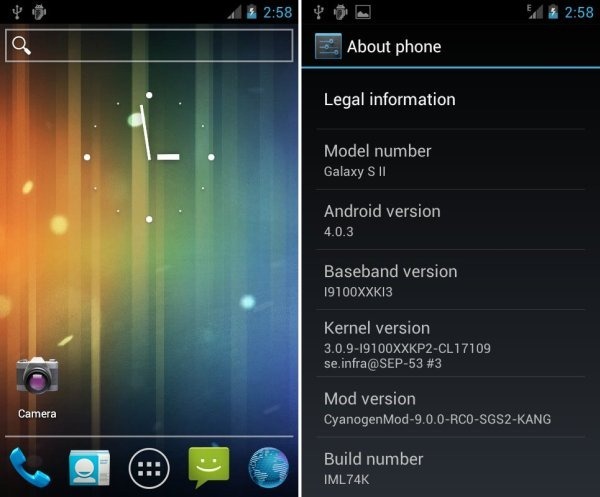 The latest is the ICS-Based CyanogenMod version 9.x. The CyanogenMod is available in English language, German language, Simplified Chinese language, Traditional Chinese language, Japanese language, Russian language, Swedish language, Korean language, Finnish language, Portuguese language, Polish language, Catalan language, French language, Italian language.